The Virginia gubernatorial election of 2017 has been billed as the marquee race for the year and as the first real referendum on Donald Trump’s presidency (that is, if you don’t count the special House elections that the Republicans have consistently won.) While Sabato’s Crystal Ball, the Cook Political Report, the Rothenberg Political Report, and countless other analysts have dubbed the Virginia governor election to be a “lean Democratic” race, that analysis may be misguided. Let’s go back to the year 2014, when former RNC chairman Ed Gillespie ran for the Senate against incumbent Mark Warner. Warner was called “unbeatable” by many, with every political pundit dismissing Gillespie’s challenge to Warner and dubbing the race “Safe Democratic.” However, their analysis couldn’t have been more wrong, and thus the race became one of the most surprising of the night. Despite every poll saying that Mark Warner would coast to reelection, Ed Gillespie nearly pulled one of the largest political upsets in senatorial election history. By the end of the night, Gillespie nearly unseated Warner, only losing the election by 0.8% of the vote. Since that night, Gillespie’s star has been rising with the Virginia GOP, and for good reason. So, when Ed Gillespie announced his run for governor of Virginia, it shouldn’t have been much of a surprise. Gillespie cleared the field minus Corey Stewart, a pro-Trump state senator. After fending off that challenge (albeit barely, holding to Gillespie’s track record of close elections), Gillespie turned to taking on Lieutenant Governor Ralph Northam. Despite Gillespie’s strong electoral record, analysts have insisted that Gillespie’s 2014 showing was a fluke, chalking it up to a GOP wave and a lack of quality campaigning from Warner. However, now a win by Gillespie to become the next Governor of Virginia is staring us in the face, but many of us are unable to accept the possibility. Let me break down the reasoning on this. First, Gillespie has shown to be adept at campaigning. His 2014 close call was not a fluke; it was representative of the campaign that was simply never covered. Gillespie ran the Republican National Committee from the period of 2003 to 2005. During his tenure, the Republican Party retained the House, the Senate, and the presidency in the 2004 elections. To say that the Republican candidate for governor is not aware of how to campaign would be to say that the moon is actually made of swiss cheese or that Hillary Clinton is actually president right now and Donald Trump is not. Gillespie has shown this campaign that he is seeking to unite as many factions of the GOP as he can while winning independent voters. That itself typically constitutes a winning strategy. Second, Democrats are banking heavily on Donald Trump’s unpopularity while Gillespie has moved further right to embrace ideals that Trump supports. While Gillespie has kept Trump at arm’s length, it’s very likely to do with the fact that Trump is immensely unpopular in northern Virginia towards D.C., where Fairfax County provides thousands of votes to the Democrats. 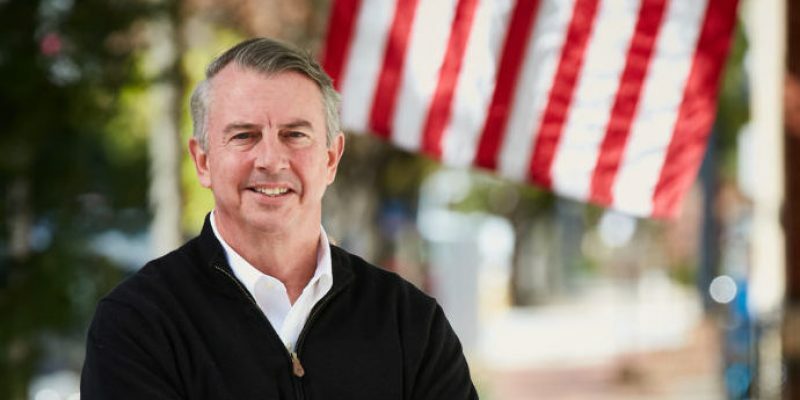 The county is the largest Democratic strongholds, and Gillespie is hoping to provide a moderating image there while still remaining consistently conservative to the rest of Virginia. However, the Democrats’ wish tie Gillespie to Trump isn’t necessarily a sure-fire way to ensure Ralph Northam coasts to victory. After all, the Republicans won in Georgia, Kansas, Montana, and South Carolina when Trump was supposed to be “deeply unpopular” and while the candidates there were tied to him. Furthermore, the fact that Trump’s popularity still remains a matter of debate due to incessant mispolling by publications such as The Washington Post furthers the argument that being tied to Trump doesn’t necessitate a death sentence; in fact, it could potentially save a candidacy. Third, Gillespie has been consistently underrated. This is a major issue for pollsters in general (for examples, see Hillary Clinton vs. Donald Trump, Jon Ossoff vs. Karen Handel, and so on), but it’s a particularly heinous habit for Virginia pollsters. Not one predicted that Gillespie would nearly unseat Warner. Now, not one analyst is truly allowing for the possibility that Gillespie could serve as governor, despite the fact that Gillespie has actually led in multiple polls in recent weeks. There seems to be a thought process here that if the analysts say it will happen, then that prediction will become reality. To those analysts, I’d like to note a few names: Donald Trump, Larry Hogan, Bruce Rauner, Joni Ernst, Cory Gardner, and Karen Handel. None of these were predicted to win. Every one of these faced the exact same error in polling that Gillespie faced in 2014, and the same error that has continued since. Don’t underestimate Ed Gillespie and the Republicans in Virginia.